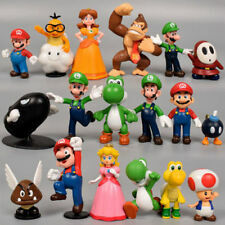 Item: Super Mario bros. You can check the goods staus in the follow websites. QTY: 1 Set/Lot (1 Set=18 Pcs). MISTER NO REVOLUTION 5 DAMMI RIFUGIO. 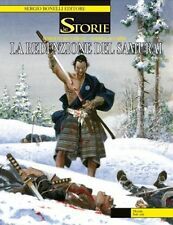 AUDACE SERGIO BONELLI EDITORE. Silveracre has been dealing in the very finest comics and collectibles since 1988. Don't worry, we will always get to you! We accept all major credit cards. We accept Debit/Switch cards. 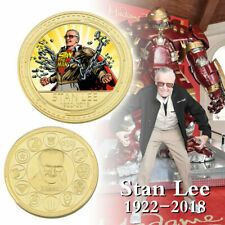 Silveracre has been dealing in the very finest comics and collectibles since 1988. It will normally be fine if we are notified in advance. Condizioni di conservazione EDICOLA, perfetto! nelle mie altre inserzioni tantissimo materiale raro in vendita del personaggio cult Dylan Dog ! in perfette condizioni. ! Guardate che belle foto ! #6 Rick and Morty Magazine comics. May/June 2019. Very Good condition. Thanks for looking. Fox Comics 27: Australia small press avant-garde / undergound comix.1990 VFN. I believe the series ended two issues on from this one (though I have never seen 28 or 29). Published 'late 1990' this is magazine-sized, 48-pages, bw. Condition is very fine (vfn). Fox Comics 14: Australia small press comix. 1986. Dan Clowes wrap-around cover. Fox Comics 14: an issue of the long-running Australian small-press alternative comic, this issue published Nov/Dec 1986, by D.Vodicka in Victoria. Underground-ish and avant-garde. Magazine-sized 30 pages, bw. Fox Comics 17: an issue of the long-running Australian small-press alternative comic, this issue published November December 1987, by D.Vodicka in Victoria. Underground-ish and avant-garde. Magazine-sized 38 pages, bw. Fox Comics 19: an issue of the long-running Australian small-press alternative comic, this issue published March/April 1988, by D.Vodicka in Victoria. Underground-ish and avant-garde. Magazine-sized 38 pages, bw. Fox Comics 25: Australia small press avant-garde / undergound comix.1989 VFN. Published December /January 1989/90 this is magazine-sized, 48-pages, bw. Condition is very fine (vfn). Fox Comics 15: Australia small press avant-garde / undergound comix. 1987. Fox Comics 15: an issue of the long-running Australian small-press alternative comic, this issue published Jan/Feb 1987, by D.Vodicka in Victoria. Underground-ish and avant-garde. Magazine-sized 32 pages, bw. Fox Comics 18: an issue of the long-running Australian small-press alternative comic, this issue published Jan/Feb 1988, by D.Vodicka in Victoria. Underground-ish and avant-garde. Magazine-sized 40 pages, bw. Fox Comics 20: an issue of the long-running Australian small-press alternative comic, this issue published June/July 1988, by D.Vodicka in Victoria. Underground-ish and avant-garde. Magazine-sized 38 pages, bw. Fox Comics 26: Australia small press avant-garde / undergound comix.1990 VFN. Published April / May 1990 this is magazine-sized, 48-pages, bw. Condition is very fine (vfn). NUOVA DA EDICOLA -. SPEDISCO IN TUTTO IL MONDO. SU TUTTI GLI ARTICOLI. SODDISFATTI O RIMBORSATI. RISOLTO OGNI RICHIESTA GIUSTIFICATA. O ULTERIORI FOTO,CONTATTATEMI SUBITO. PER QUALSIASI PROBLEMA,INFORMAZIONI. NUOVA DA EDICOLA -. SU TUTTI GLI ARTICOLI. SODDISFATTI O RIMBORSATI. RISOLTO OGNI RICHIESTA GIUSTIFICATA. O ULTERIORI FOTO,CONTATTATEMI SUBITO. PER QUALSIASI PROBLEMA,INFORMAZIONI. Comics # 4H20. Comics are bagged and boarded. COLLANA WEIRD TALES. EDIZIONE COSMO. WEIMAR. 1934. LES ENQUETES DE JAN KARTA PRIMA EDIZIONE DAL PRA' R. - TORTI R.
LES ENQUETES DE JAN KARTA PRIMA EDIZIONE DAL PRA' R. - TORTI R. Titolo: Weimar. Les enquetes de Jan Karta. Autore: Dal Pra', R. - Torti, R. Codice Interno: LBC_035988. Note: normali segni del tempo. DER WEIMAR. LES ENQUETES DE JAN KARTA PRIMA EDIZIONE. Titolo: Der Weimar. Les enquetes de Jan Karta. Inserzione creata da Maxpho®. Codice Interno: LBC_029063. Note: normali segni del tempo. Lingua: tedesco. Comicology 3 TwoMorrows magazine. VFN. Comicology 3 Two Morrows magazine published Spring 2001, first printing. Magazine-sized, about 100 pages, bw. Condition is very fine (VFN). In general it is a nice comic. A comic, paperback, or hardcover that has been read but looked after will often be in this grading and it is in my opinion a very collectable grade. Lot of 100 covers Ultimate Guard for Comics Regular Size. -Maximum clarity. Protects your Current Size comics up to: 18.4 cm x 26.8 cm / 7.25 "x 10.5".